We fly our flags today, November 11, to honor all veterans, an extension and morphing of Armistice Day, which marked the end of World War I. The Armistice took effect on the November 11, 1918. 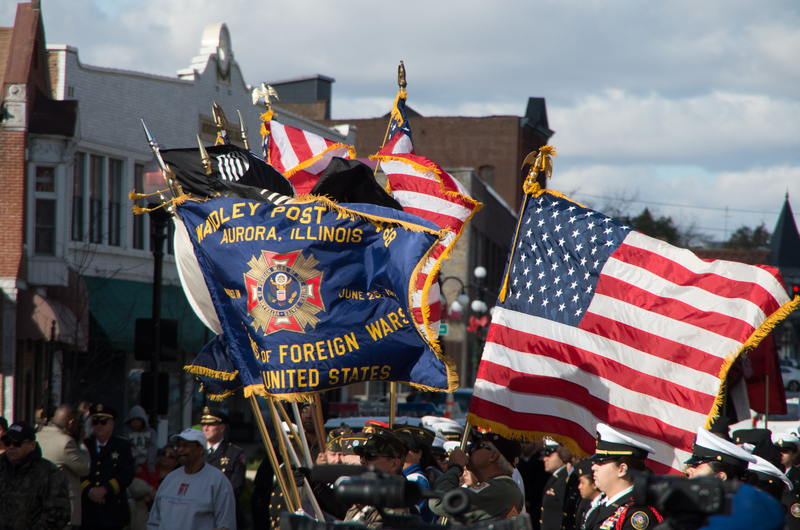 Veterans Day parade features a nice jumble of flags in Aurora, Illinois, unknown year. 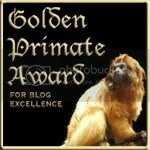 Photo from EnjoyAurora.com. 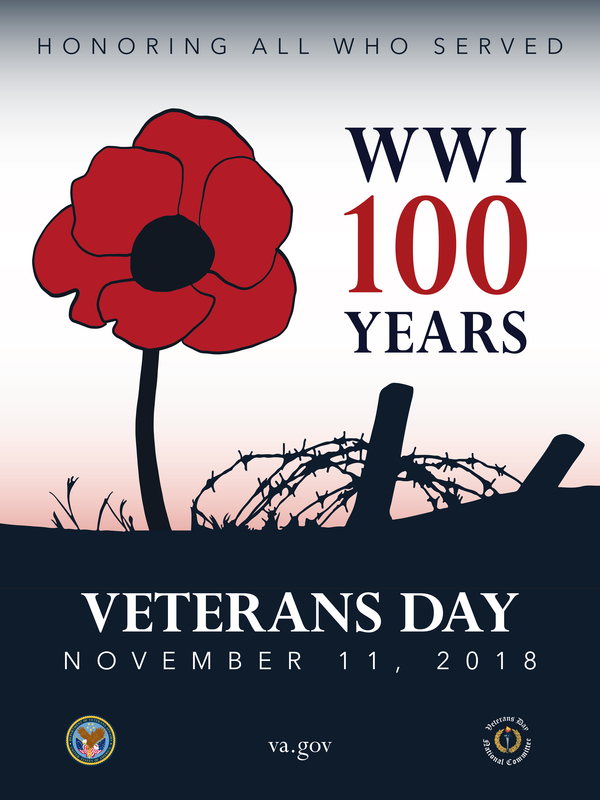 2018’s Veterans Day from the Veterans Administration features the poppy symbolic of World War I, contrasted with barbed wire from the battlefields. In world history or U.S. history, I usually stop for the day to talk about the origins of Veterans Day in Armistice Day, the day the guns stopped blazing to effectively end fighting in World War I. For several reasons including mnemonic, the treaty called for an end to hostilities on the “11th hour of the 11th day of the 11th month” of 1918. Your state’s history standards probably list that phrase somewhere, but the history behind it is what students really find interesting. Original documents and good history can be found at the Library of Congress online collections. The Allied powers signed a ceasefire agreement with Germany at Rethondes, France, at 11:00 a.m. on November 11, 1918, bringing the war later known as World War I to a close. President Wilson proclaimed the first Armistice Day the following year on November 11, 1919, with the these words: “To us in America, the reflections of Armistice Day will be filled with solemn pride in the heroism of those who died in the country’s service and with gratitude for the victory, both because of the thing from which it has freed us and because of the opportunity it has given America to show her sympathy with peace and justice in the councils of the nations…” Originally, the celebration included parades and public meetings following a two-minute suspension of business at 11:00 a.m. Between the world wars, November 11 was commemorated as Armistice Day in the United States, Great Britain, and France. 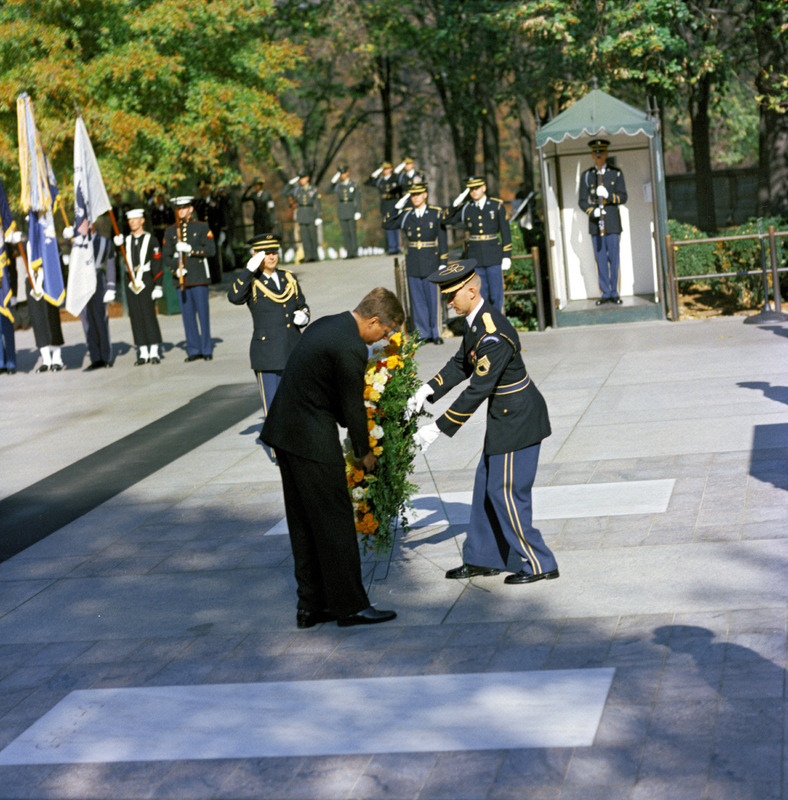 After World War II, the holiday was recognized as a day of tribute to veterans of both wars. Beginning in 1954, the United States designated November 11 as Veterans Day to honor veterans of all U.S. wars. British Commonwealth countries now call the holiday Remembrance Day. For Veterans Day, explore the many resources in the National Archives about veterans and military service. (Well, actually it’s for everyone. But teachers love those kinds of links, especially AP history teachers who need documents for “Document-Based Questions” (DBQs). Hope your Veterans Day 2017 goes well, and remember to fly your flag at home. 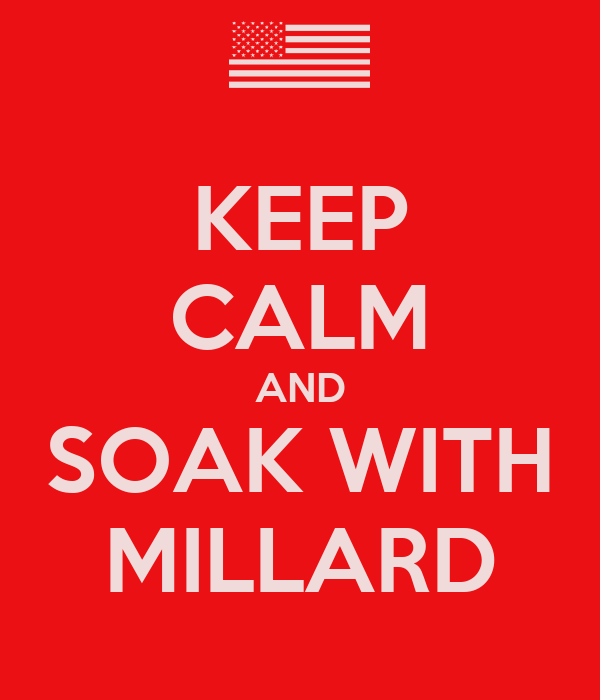 This entry was posted on Sunday, November 11th, 2018 at 11:22 am and is filed under 1914-1918, Education, Flag etiquette, History, Lesson plans, Teaching Resources, veterans, veterans day. You can follow any responses to this entry through the RSS 2.0 feed. You can leave a response, or trackback from your own site. I love the 2018 poster!